I have a fascination with history in general. I really love the mystery that has always surrounded the Romanov family. This was a lengthy book but in the spirit of full disclosure.....it was AMAZING. I couldn't put it down. 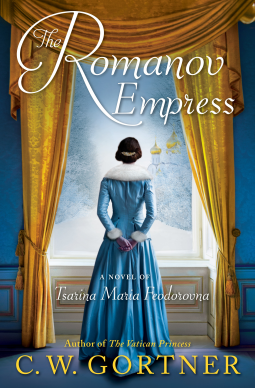 The way the story is told from Maria Feodorovna's point of view adds so much to the plot. C.W. Gortner wove a story that combined truth and embellishments into a wholly believable tale of intrigue, mystery, family, murder, and politics. 5 stars all the way! Mimi Jean Pamfiloff has done it Again!! !